Paul Ryan may be retiring having cemented his reputation as a fraud, but at least he’s a very successful fraud. For the second time in his life, he’s helped transfer trillions in wealth to the richest Americans and for the second time in his life he’s laying the predicate for a massive financial crisis that will then likely result in even more destruction of the middle class and, eventually, even greater gains for the very richest, who have never been richer, given that Republicans have now, possibly inexorably, chained fiscal power to political power. Expect to see this chart framed in Paul Ryan’s new office, where he’ll serve as the American Enterprise Institute’s Chair of Pretending to Care About the Deficit and the Poor Despite A Lifetime of Evidence Proving Otherwise. 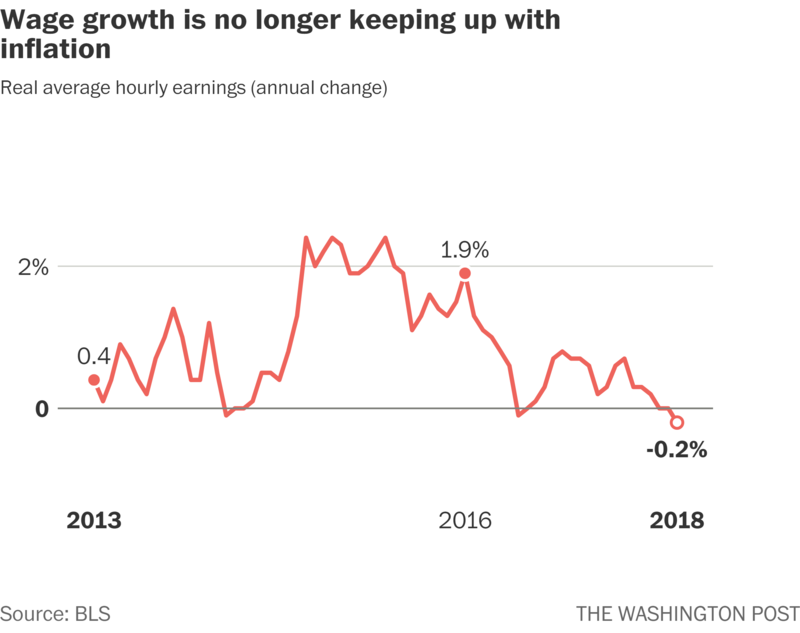 This helps explain why wages are actually down when adjusted for inflation since the tax cuts became law, as the meager gains are almost entirely wiped out by the rising costs of oil (which is rising in part because we’re punishing Iran, a country with no nukes, for abiding by a nuclear deal while rewarding North Korea, a country with nukes that’s obviously cheating us, and this is all the plan of the exact fools who brought us the Iraq War, including Paul Ryan). 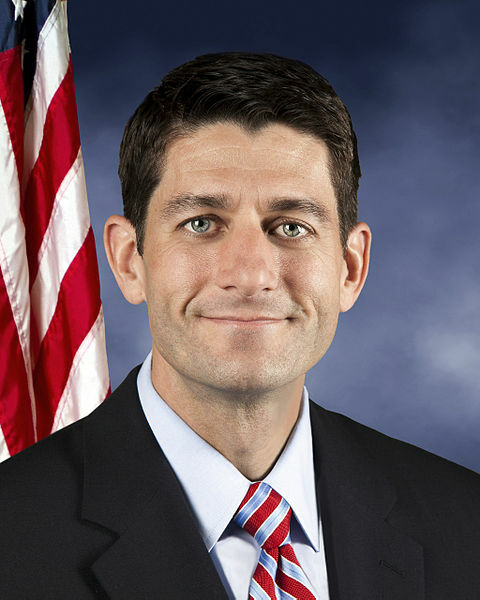 Ryan’s greatest accomplishment is that the giant unnecessary tax cuts for the rich he shepherded through the Congress as the deficit was rising could end up being even more destructive to the middle class than the giant unnecessary tax cuts he merely voted for last decade when the budget was near surplus. 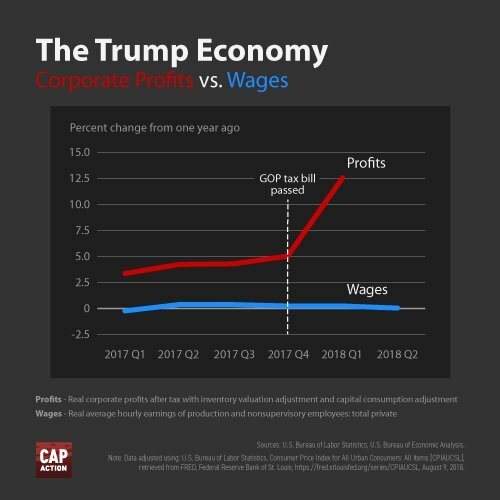 Republicans have done nothing to raise wages as they’ve encouraged wage theft and this is because they, as Donald Trump articulated, believe we make too much. 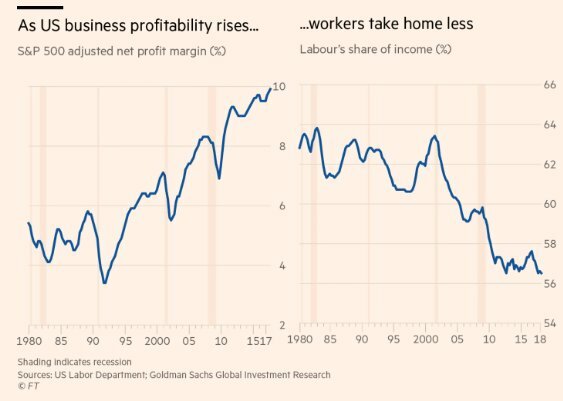 In a time of record and skyrocketing corporate profits, there is no serious discussion in this GOP Congress about raising the minimum wage, which has been stuck at horrendously low number for a decade. And while the tax cuts will disproportionately go to the richest, the cuts will be stuck almost entirely on working people, especially the most vulnerable. Paul Ryan has never gotten to execute this part of his dream plan because while starving the poor is a passion of his, fattening the rich is his life work. And he goes out having only achieved the pinnacle of this art form thanks to Donald Trump, a guy who figured out that you can win richer older white voters with racism, as long as you pretend you don’t want to cut Medicare, Medicaid and Social Security. Unfortunately, Democrats now have to summon the political power and strength to refuse to be obligated to punish workers for the same sort of massive rip-off of the middle class on behalf of the rich that Republicans have pulled off once each decade since the 1980s — with the 1990s and its massive fiscal boom being the only exception. There were so many ways to spend $2 trillion that would have transformed America — infrastructure, free college, universal pre-K, paid leave… With $6,250 you could have bought every American a pick-up or 7 iPhones — their choice. People sense they’ve been scammed, especially in places that cared far more about the populist part of Trump’s racist populist formulation, like Michigan and the rest of the industrial Midwest. But this is why we need government and agencies like the Consumers Financial Protection Bureau to protect us from the rich. 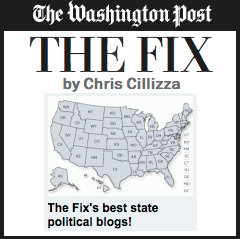 Because when the wealthy decide to rip you off, you could spend the rest of your life trying to fix it.